Oooh! 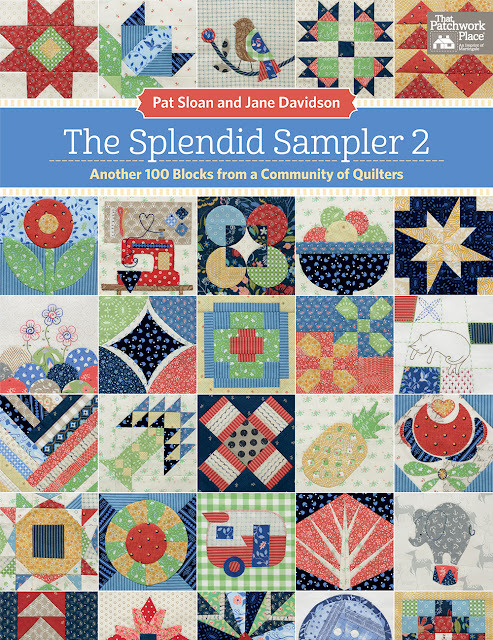 I am so excited about the release of the book The Splendid Sampler 2 by Pat Sloan and Jane Davidson, published by Martingale! 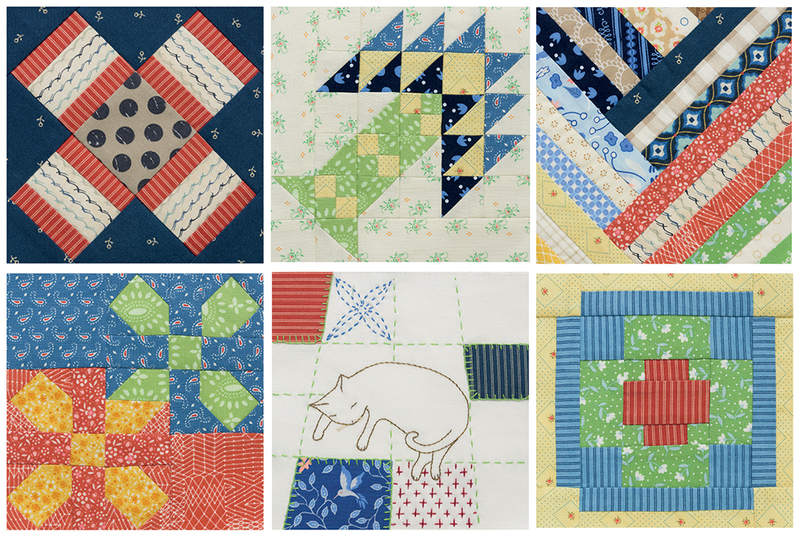 The first book had such terrific blocks and inspired many quilters to join in and sew along (view their beautiful quilts here). Wait until you see book 2! For The Splendid Sampler 2, Pat and Jane asked 80 designers to contribute blocks which answered the question: "I'm living my best quilting life when...". The resulting 100 blocks are fantastic! 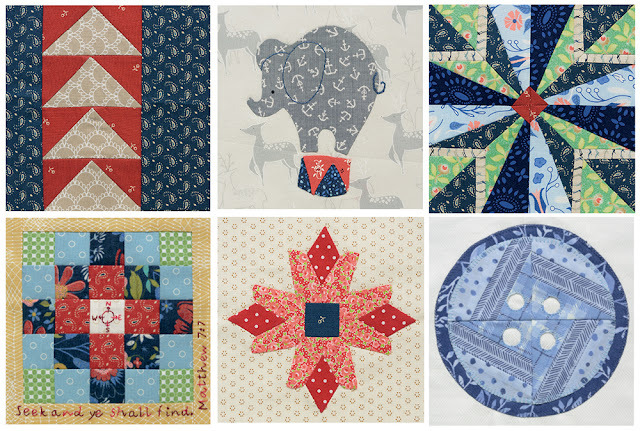 The blocks still measure 6" so you can mix blocks from both books to create your own masterpiece, or make all the blocks from The Splendid Sampler 2 and have another gorgeous Sampler quilt. 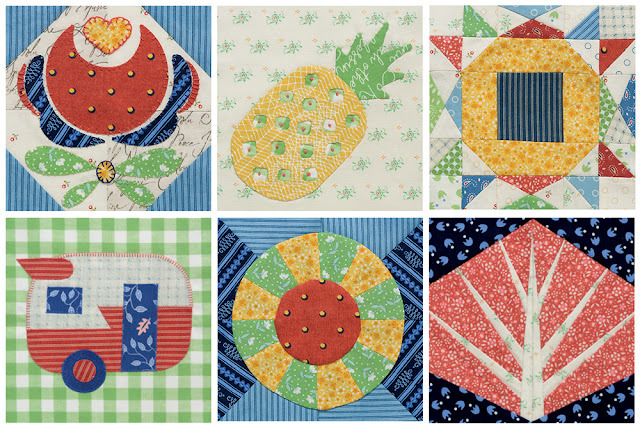 The blocks in this book cover many piecing techniques (patchwork, paper piecing, machine and needle-turn applique', English paper piecing, curved piecing) while working on small blocks instead of an entire quilt. This is a great opportunity to master each one with an easy-to-manage block size. The designers prefaced their blocks with interesting insights about their creative process, their quilting journey, what inspired the blocks, and other tidbits. Each block has detailed instructions and diagrams, and the book includes a section on Quilting Basics as well as pull-out templates. 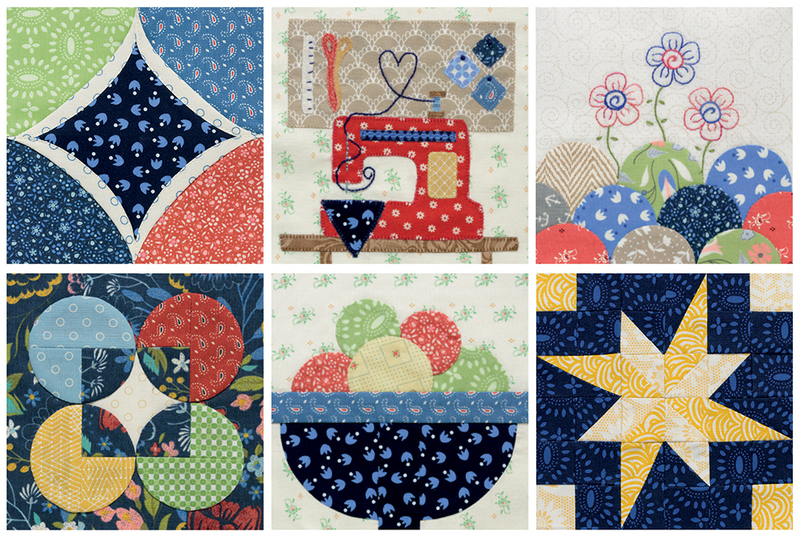 The Splendid Sampler 2 is a celebration of our love for quilting. Pat Sloan and Jane Davidson are strengthening the bonds between quilters all over the world, shortening the miles between us as they bring us together on their Facebook group (check out the amazing work displayed on facebook.com/groups/TheSplendidSampler), Instagram (#TheSplendidSampler), and on quilt groups. Thank you and Jane for all the work!